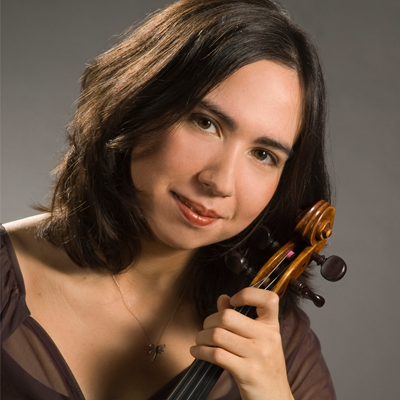 Violinist Sara Matayoshi has earned recognition for her artistry as a solo, chamber, and orchestral musician, since making her solo debut with the Midwest Young Artist Orchestra in 2002. A former core member of the Knoxville Symphony Orchestra (2011-2016), Sara has also been a member of the Chicago Civic, Madison, and Atlantic Symphony Orchestras. She has been a performer at various music festivals including Britt, Des Moines Metro Opera, Spoleto U.S.A, Banff Centre Orchestra and Masterclass, Lyricafest, and Garth Newel Music. She was the former violist of the Oak Ridge String Quartet and violinist with the Juventas New Music Ensemble and SKY piano trio. Part of her work with the Knoxville Symphony included working with KSO’s Music and Wellness Quartet where she trained with music therapist, Alana Seaton, to cater music for various health care settings. The KSO was also awarded a grant that enabled her to become a Certified Music Practitioner through the Music Healing and Transition Program. CMPs are trained to design one-on-one therapeutic music sessions for comfort care. Sara currently has experience offering these sessions in hospital settings ranging from the Neonatal Intensive Care, Oncology, Cardiovascular, and Cancer units to hospice and skilling nursing facilities.